77 For the Head Ache Take a spoonfull of ye juyce of bittonie mingled with as much white wine and as much honey and nine pepper cornes in it and drink it four days. 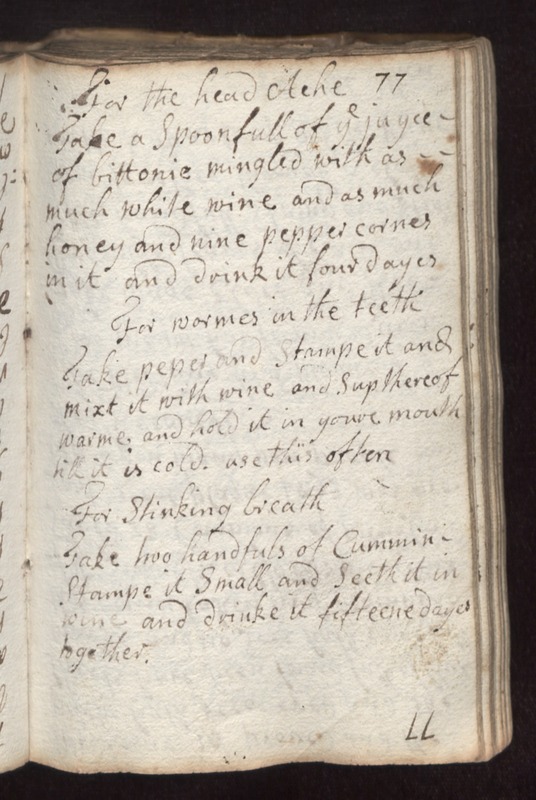 For Wormes in the Teeth Take peper and stampe it and mixt it with wine and sip thereof warme and hold it in your mouth till it is cold. Use this often. For Stinking Breath Take two handfuls of cummin stampe it small and seeth it in wine and drink it fifteene dayes together.